We are happy to announce a very exciting event for this month's Natural Wine Tasting Series this Saturday: Hungary! We will be joined by good friends Stetson Robbins and Matt Ahern from Blue Danube Wines, who are experts on this part of the world. Blue Danube and Jaynes are kindred spirits in promoting lesser known regions and indigenous varieties and this is another first ever in San Diego tasting that we're proud to be hosting. Be the first on your block to drink and pronounce Kékfrankos and Sparkling Tokaji! We will also be serving traditional Hungarian bites like Körözöt. In Stetson's words: The food and wine culture of Hungary is one of Europe's oldest and most dynamic. The basin of the ancient Pannonian sea, Hungary is a veritable bread basket of vast fields of grain, fruitful orchards and game filled forest. Sporadic outcroppings of long dormant volcanoes and limestone massifs blanketed with indigenous vines, jut from these long plains. 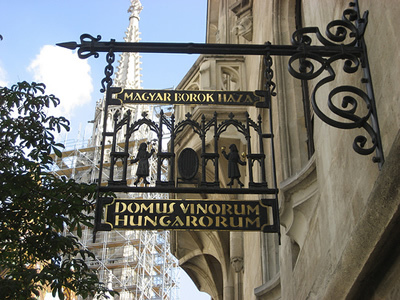 Here where the vine grows, people make the full flavored spicy foods and wines that separate the Hungarian palate from the rest of Europe's. This is just a taste of this unsung destination for gourmands, but one you will not quickly forget. I hope that you will be drawn to Hungary as we at Blue Danube Wine Co were. Cheers! Or as they say in Hungarian "Egészségedre!" and see you there!! 6 wines plus hors d'oevres $20/pp. 4-6pm. Reubens at Jaynes this week!